My name is Michal Duda. Software Developer located at Prague, Czech Republic. Broad area which goes along with me during the majority of my life. Many things are hidden beyond. Man can handle only few of them during a career. Static pictures are wonderful, but needs to be well-balanced. I like the high contrast black and white, or gray-scaled, or monochromatic pictures. Do you like banknotes? No? So send me them! Just kidding. Notaphily is the study and collection of paper currency, and banknotes. And that's what I'm interested in. Definitely a penguin, because they are lovely well-dressed sweethearts. More than 7 years, I am an adoptive parent of Humboldt's penguins in the Prague Zoo @ Czech Republic. Whoever will not stay alive till the end of a movie. Whatever having a Unix-like kernel inside. 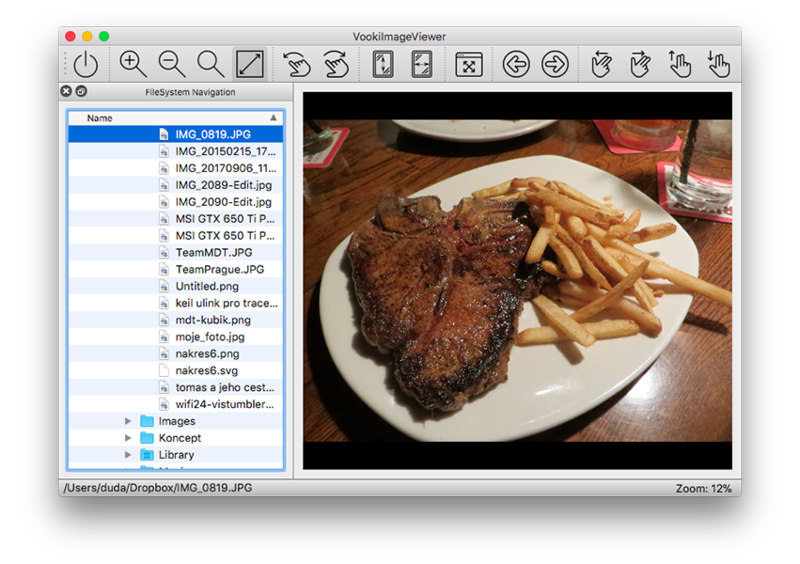 VookiImageViewer is a cross-platform lightweight image viewer for a fast image preview. It has been developed to have the same viewer available for all major operating systems. The main goal is to have a free of charge cross-platform viewer with a simple design and minimum functions which are commonly used. CoolerMaster has never provided any MacOS SW or SDK for their CK550 keyboards. CK550-macos project tries to fix this situation and provides a couple of the MacOS applications for controlling the majority of available keyboard LED effect. 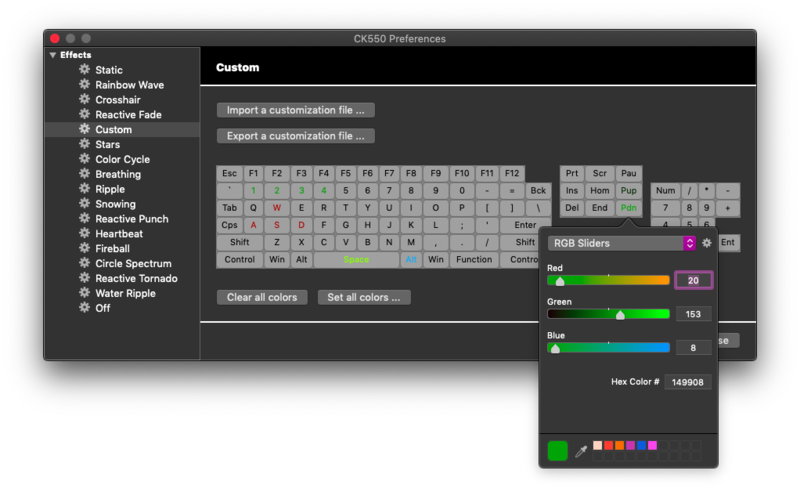 Applications support only CK550 US-Layout keyboards. Its functionality is based on the USB traffic analysis and is written in Swift. 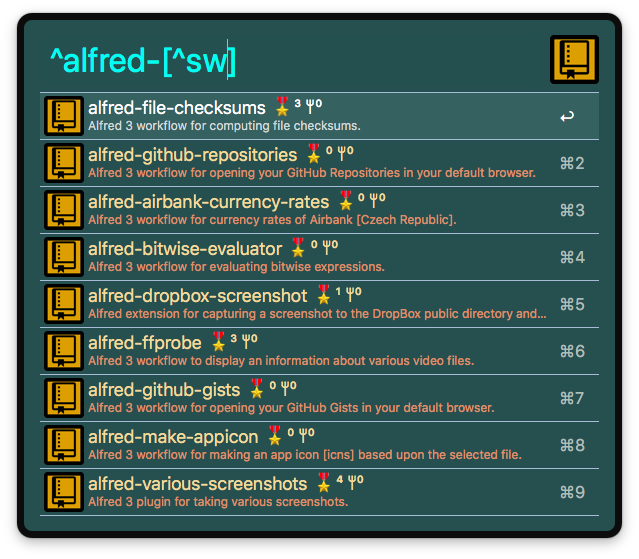 Alfred is a very popular handy utility increasing productivity on MacOS. I created several workflows, which are mainly useful for developers to speed up their work. Aria was one of the best download managers ever developed for Linux. It was written by Tatsuhiro Tsujikawa. Although, development has stopped in December 2002 by releasing final version, we were still maintaining RPM packages for Fedora Core and Mandrake Linux distribution. This project is no longer maintained. Use the Aria2 instead.